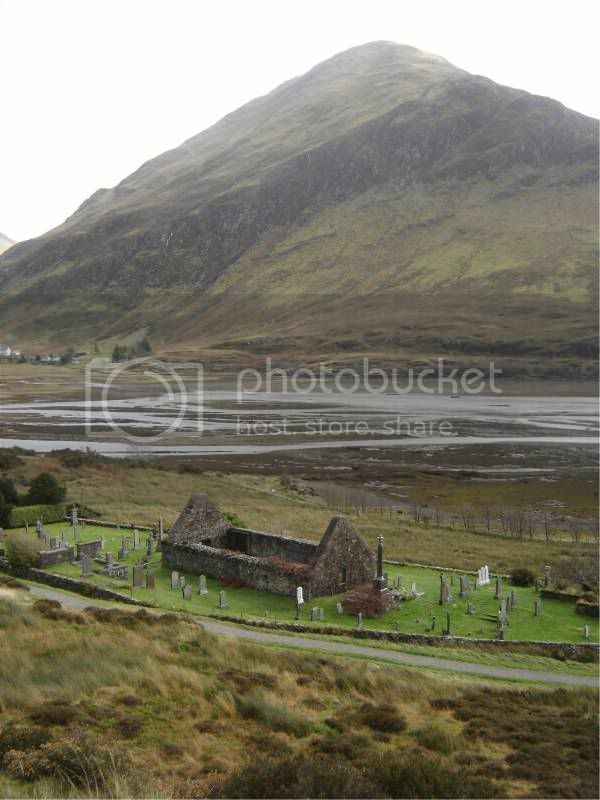 The Clachan Dhuich Burial ground lies on the north side of the A87 bridge over the head of Loch Duich just north of Shiel Bridge. 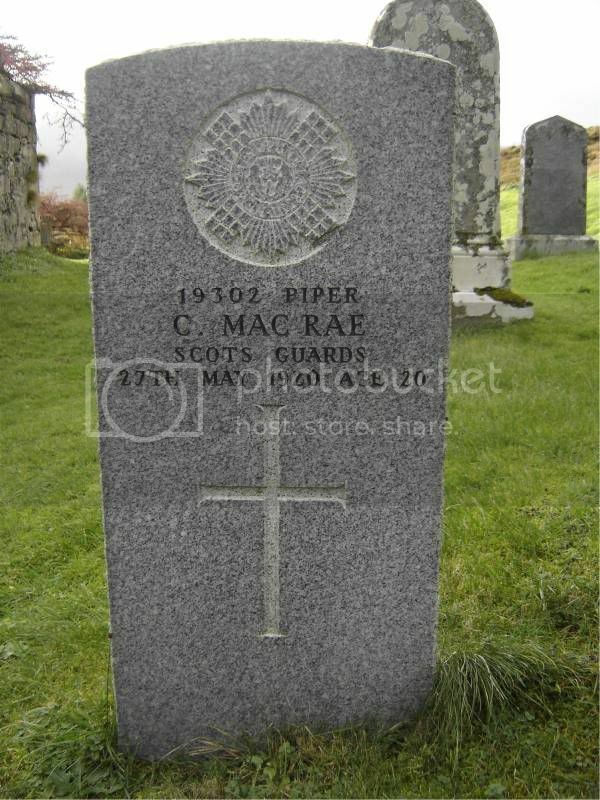 Additional information: Son of Duncan MacMillan, of 3, Caroline St., Dornie, Kintail, Ross-shire. Grave/Memorial Reference: North-East of ruins. 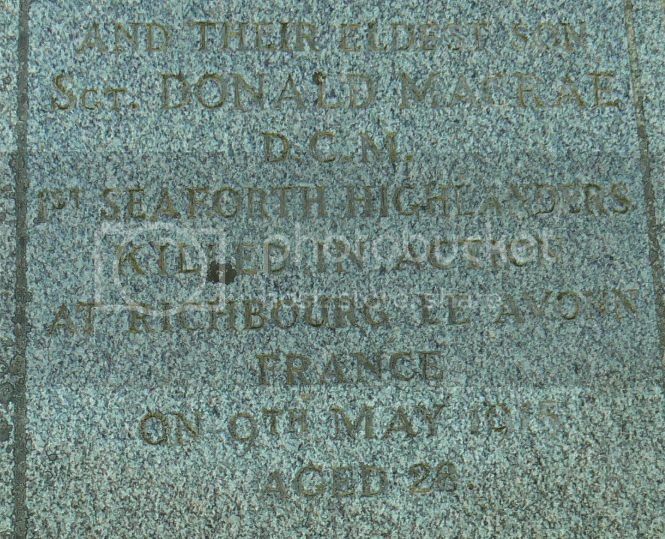 Additional information: Son of Horatio Ross Macrae, of 14, Gloucester Place, Edinburgh, and the late Letitia May Macrae. Grave/Memorial Reference: V. C. 16. 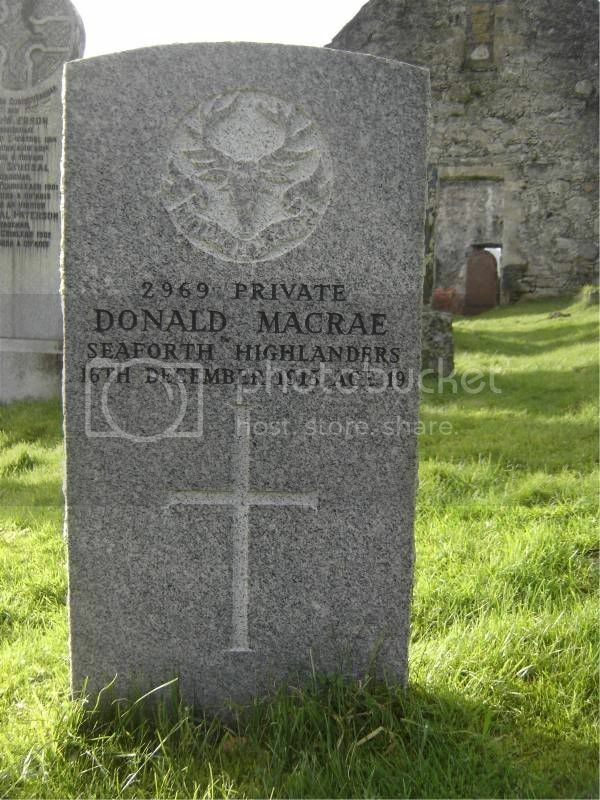 Additional information: Son of Duncan and Mary MacKenzie MacRae, of Braeintra, Strome Ferly, Ross-shire. Grave/Memorial Reference: North of ruins. 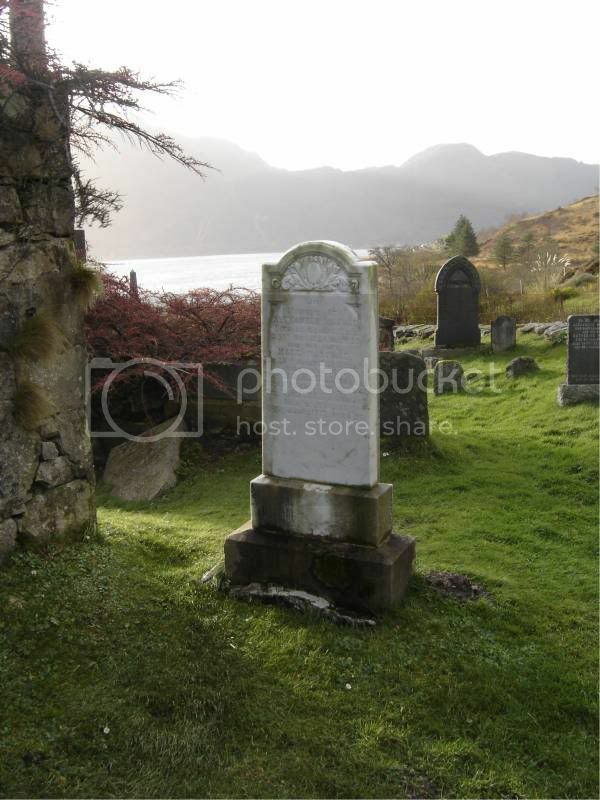 Additional information: Son of Mr. and Mrs. Christopher MacRae, of Morvick, Kintail, Ross-shire. Grave/Memorial Reference: East of ruins. 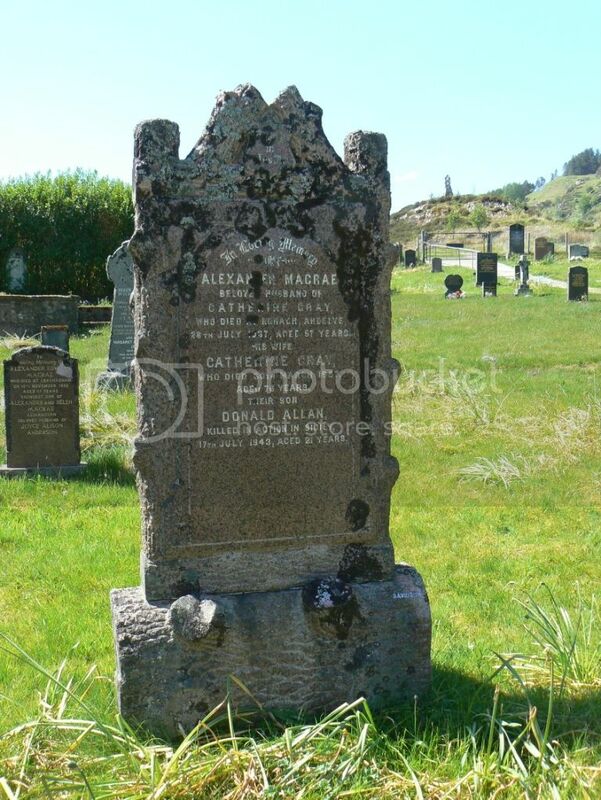 Additional information: Son of Alexander and Kate Macrae, of Scalpa, Broadford, Isle of Skye. 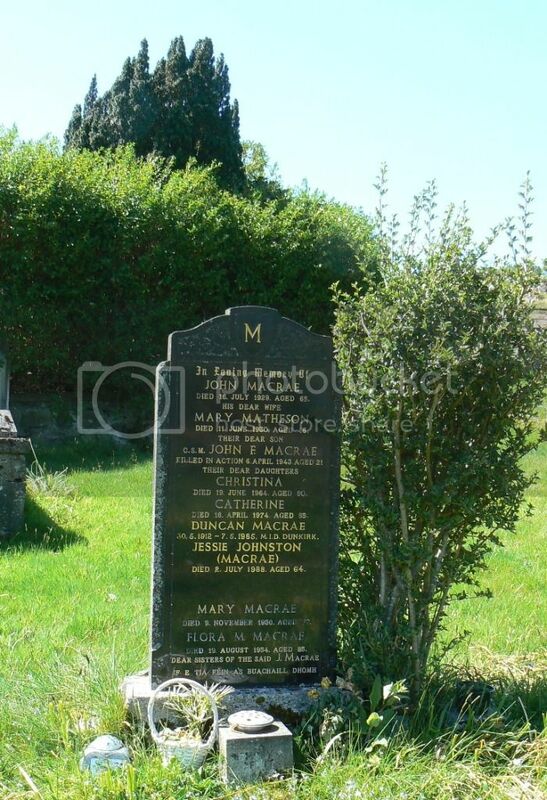 Additional information: Daughter of F. D. MacRae and Flora MacRae, of Auchtertyre. Her brother Farquhar also died on service. 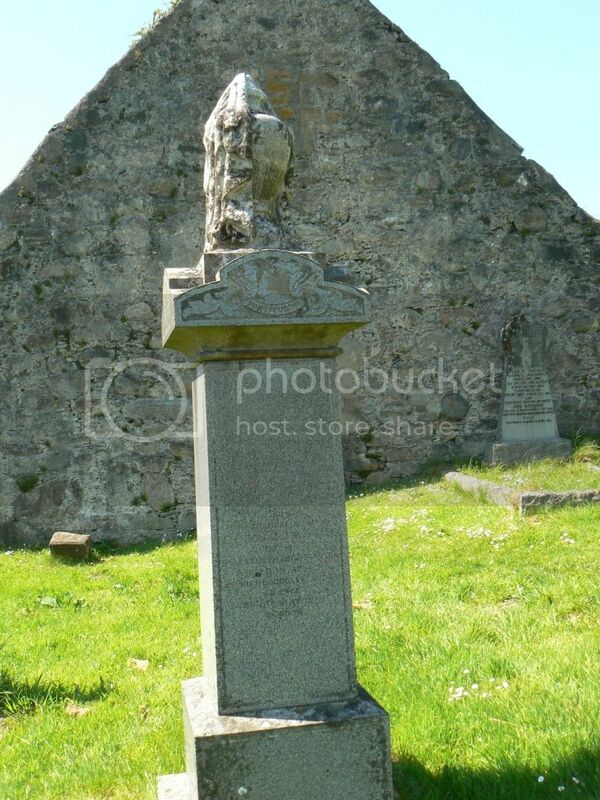 Additional information: Son of Farquhar D. MacRae, and of Flora MacRae, of Auchtertyre, Ross and Cromarty. 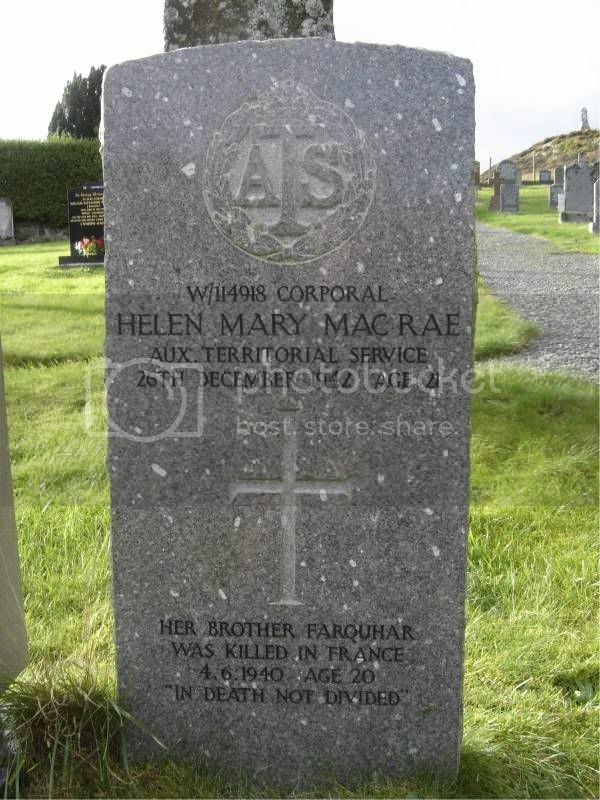 His sister, Helen Mary, also died on service. 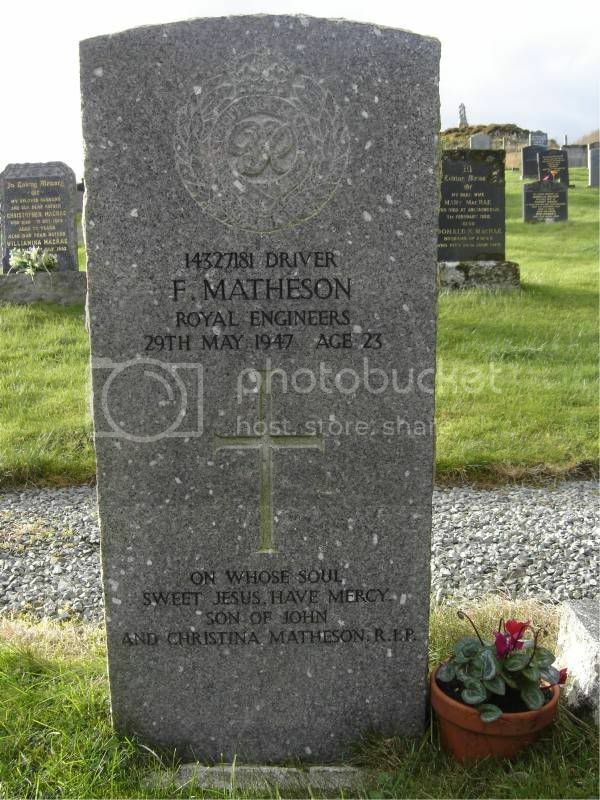 Additional information: Son of John and Christina Matheson, of Killilan. 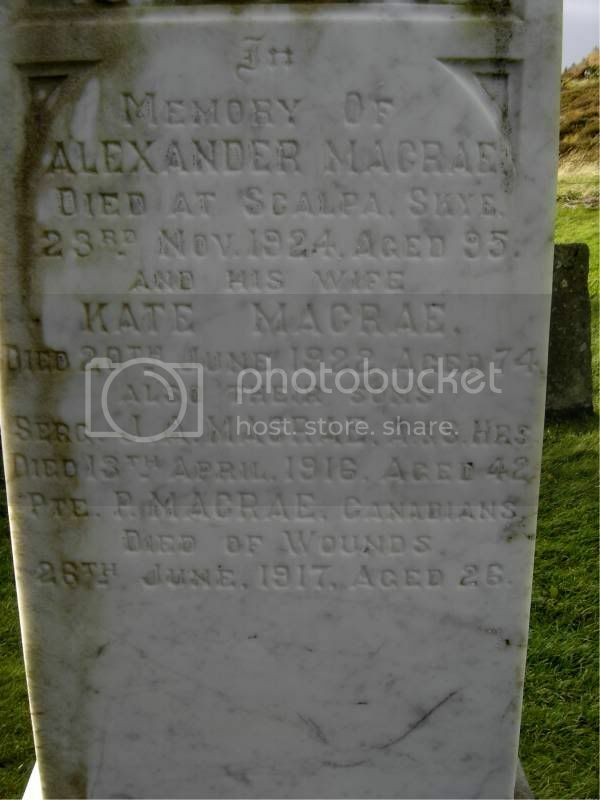 Son of Alexander MacRae, and of Zeller MacRae (nee MacRae). Also served in 1914-18 War. 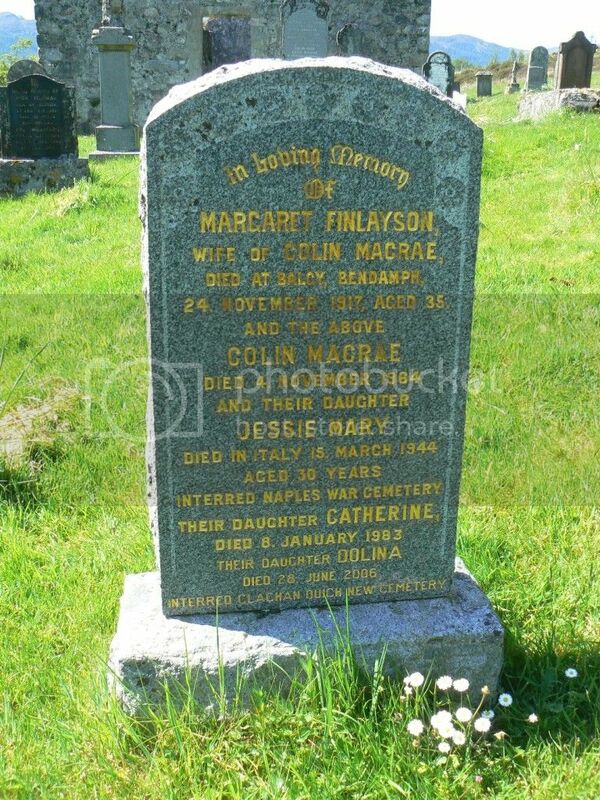 Daughter of Colin MacRae and of Margaret MacRae (nee Finlayson), of Torridon, Ross and Cromarty. Panel ReferencePanel 38 and 39. Son of Mr. and Mrs. Christopher Macrae, of Old Shiel House, Glenshiel, Kyle, Ross-shire. 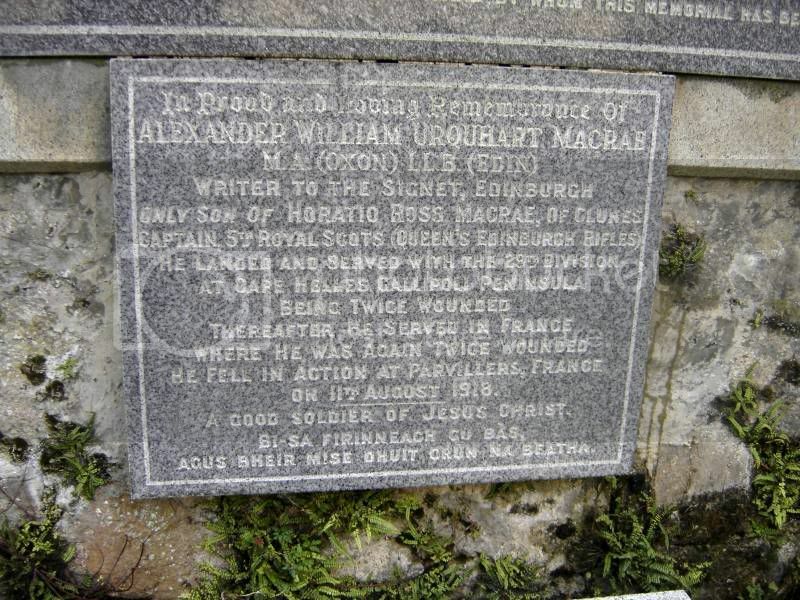 Son of John and Mary MacRae; husband of Helen MacRae (nee Duguid), of Aberdeen. 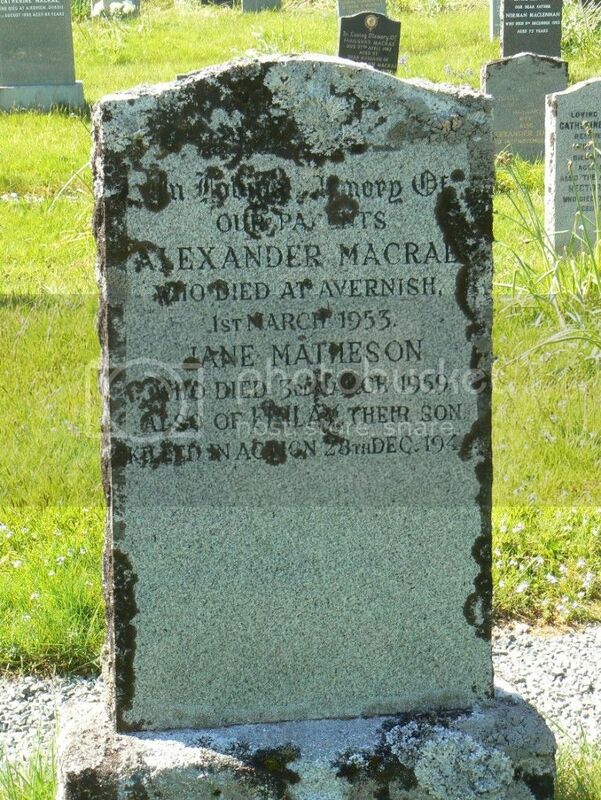 Son of Alexander and Jane MacRae, of Avernish, Ross and Cromarty. 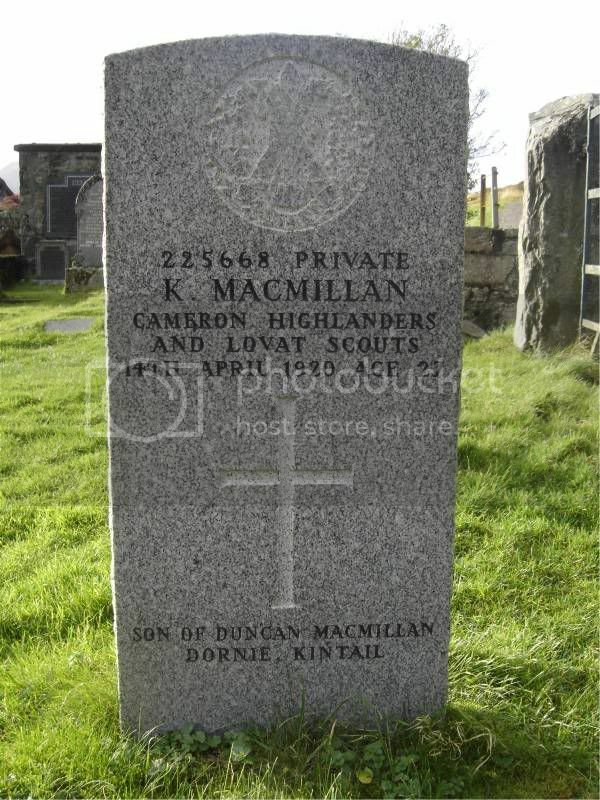 Son of Alexander and Catherine MacRae, of Coilree, Kintail. This is a duplicated thread. I have moved all the extra headstone and information that was not included in the one first started by John Burnett in 2007. I will lock this one now.